“Thanks for your time and you can thank me for mine .. and then after that’s said …. Forget it” – Opening line from Rodriguez song ‘Forget it’ from his Cold Facts Album. Following my last blog on Rodriguez you won’t believe what happened at Adelaide Airport last week. I returned from NZ on Saturday and Bill was there to collect me. 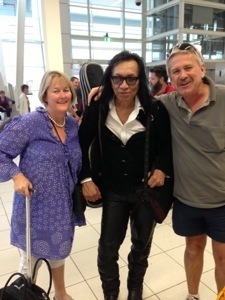 We headed down to get our bags and who should we meet at the baggage collection … Rodriguez!! Being a shy person by nature I looked on as Bill introduced himself and had a discussion about his music and the influence it had on him. He told him he had been playing his favourite songs (Establishment Blues, Sugar Man, I Wonder and Rich Folks Hoax) on the guitar from the Cold Facts album just before he left to pick me up. He thanked him for his great music and the enjoyment it had provided over the years. He told Rodriguez we were travelling to the blues fest at Byron Bay specifically to see him the following week and the he was the reason for our attendance at the festival. 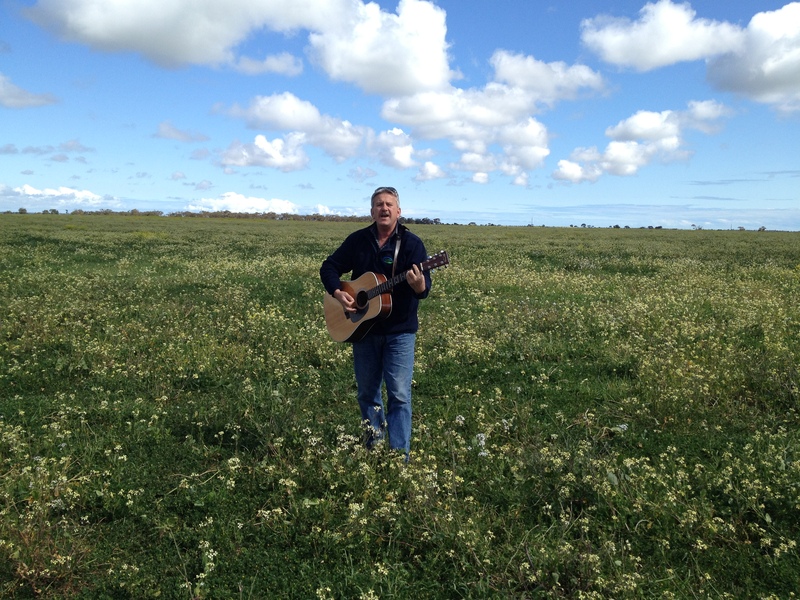 For a popular muso, he still seemed genuinely delighted that strangers approached him to tell him he was appreciated. Bill introduced me to his new friend (!!!) and this intriguing musician made a point of remembering our names and said ” make it a date” at Byron. Bill was on a high for the rest of the week, having met someone he had admired for years and who had impact on his life. Bill told the story of Rodriguez to an audience of 70 volunteer farm industry champions who work in farming systems across SA at a function on Tuesday. “Searching for sugar man” the story of Rodriguez highlights the importance of saying thank you and acknowledging people’s efforts for the work they do. Motivational speaker, Mark McKeon had delivered a similar message to the group the evening before, suggesting the way to keep people in your business or organisation was to give three parts acknowledgement, one part challenge. Great acknowledgements not only make the recipient feel good, it makes you feel good as well! So I encourage you … Next time you see one of your personal heroes, mentors or someone you admired take the chance and recognise the impact they had on your life. See you in the front row at the Rodriguez gig on Friday.